If selected, you're invited to our VIP dinner Wed night before the conference as well as our LUAU on Thursday night! Audience: Software technologists with a wide variety of backgrounds and skill sets. Cloud: Azure, AWS, Google Cloud, etc etc etc. Talks in these tracks should focus on one or multiple cloud providers. Design (UI/UX): Does your talk discuss how an application should look or feel? Put it here! Mobile / Devices / IOT: Phones. Tablets. Thingies connected to the internet. Soft Skills: Being a better team member. Public speaking. Writing. Any talk that is about improving the human aspect of software development. Project Management / Scrum / Agile: Talks based around building better project plans and managing humans doing the work. Business of Software: Freelancing. Becoming an independent consultant. Starting your own product business. Marketing. Other: Do you have a topic that doesn't really fit into one of the other tracks? Put it here and we'll review it! Workshop: Historically, we've done 4 half-day workshops (3 hrs). This year, our workshop theme is "learning a new programming language". RevolutionConf covers by default 2 nights at the conference hotel (for one speaker only - cospeakers not included). Additional travel funds are available on a first come, first serve basis. Any unused funds in our travel budget are reallocated to our diversity scholarship. 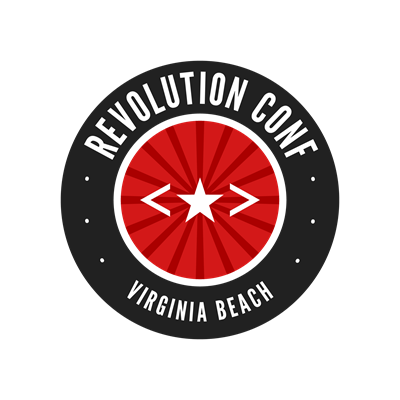 Any companies that directly pay for speaker travel will be granted a "Friend of RevolutionConf" sponsorship with logo.